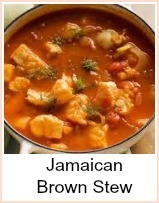 I have adapted one of my jamaican fish recipes for the crockpot. If your fish fillets are small enough to fit into the crockpot whole, then do so, if not you will have to cut them up. I would recommend that you use skinned fillets for this recipe - leave them as large as you can so that they are easy to get out of the crockpot. 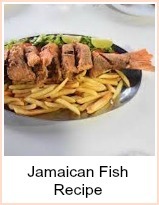 You can use one type of fish or a mixture. 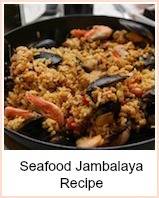 Go to the bottom of this recipe, to find more recipes that you might like. Set the crock pot to LOW. Heat the oil in a frying pan and quickly fry the fish to seal - put it into the bottom of the crockpot. You don't want to cook it, just sear it and get the flavor into the oil, so a minute either side will be enough. Make sure the pan is really hot. Melt the butter in the same pan and fry the onion until soft then add the flour and mix to a roux. Slowly stir in the soy sauce and cook for a couple of minutes, stirring all the time. Stir in approx 1 pint fish stock/water or mix of water and wine. You could use a fish stock cube if you like. Add the tomato puree, thyme and season to taste. Strip the leaves off the thyme by running your fingers along the stem, you've not need to chop them any smaller. Pour the sauce over the fish in the crockpot and cook for 4 hours. 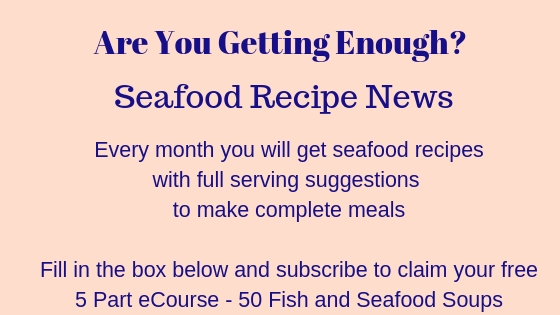 The fish you choose for these recipes will depend on what's available - serve it with rice and peas or maybe boiled sweet potato. I might even add a spoon of Jamaican Jerky Seasoning to it at the onion frying stage - your choice if you like it spicy, but a feature of Jamaican food is the spice. 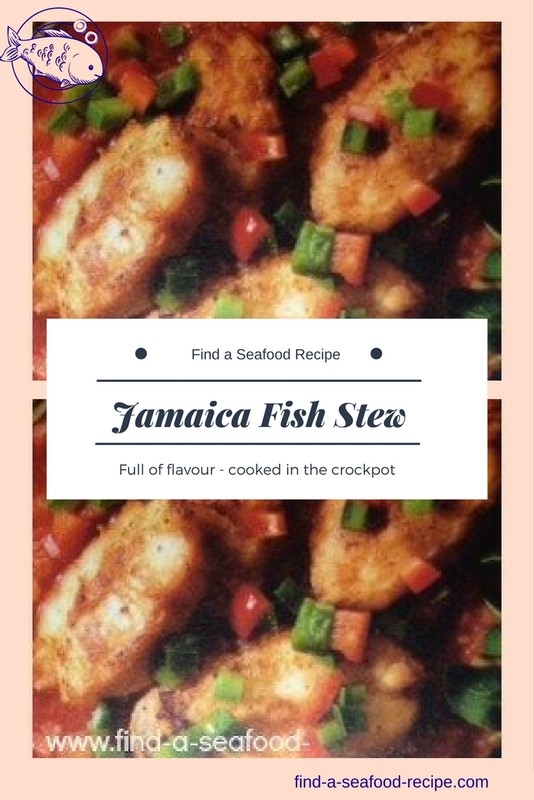 Delicious jamaican fish recipe cooked in the slow cooker. Very simple to throw together and leave it. 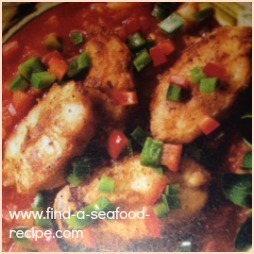 Serve with rice and peas - add some Jerk seasoning to the casserole if you like.